Try Your Luck at the Pala Casino RV Resort! 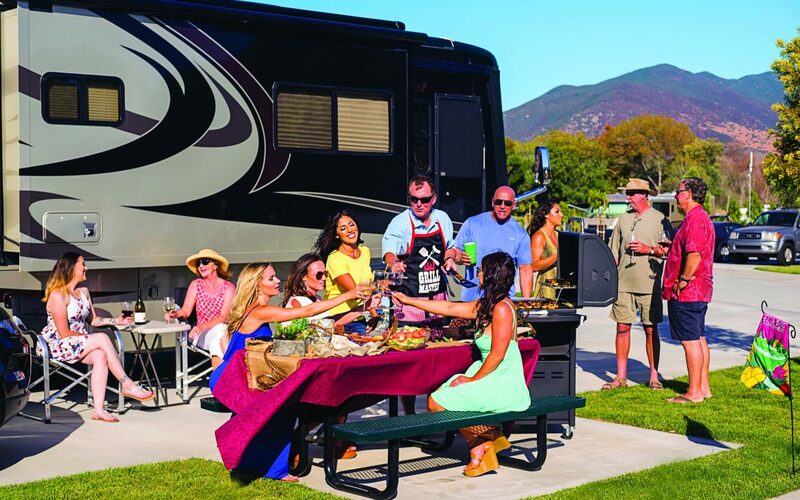 Pala Casino RV Resort provides ample opportunity to enjoy great outdoor living at its relaxing pool, surrounded by the magnificent landscape. 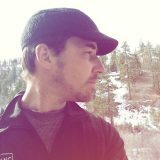 Pala is nestled in the Palomar Mountains and located in Northern San Diego County. The 10-acre resort features 100-full-service sites in three different sizes. Choose from one hundred full-service sites that offer electric, water, and sewer hookups. All sites feature free Wi-Fi, a private lawn area and picnic table. Select one of 77, 30×55 back-in sites, 17, 30×72 premium pull-through sites, or reserve one of 6, 30×60 luxury sites that come with a private barbecue grill. Enjoy a cookout in its two barbecue areas or challenge your friends to table tennis or horseshoes. Relax and enjoy the heated pool, or slip into one of two spas. You’ll also find a pool table, card tables, three flat screen TVs, 24-hour laundry and two bathroom/shower areas. There’s even a special resort for your four-legged friends in the fenced-in dog park. The RV Resort Clubhouse features two full-sized kitchens that can be reserved for Club outings and special occasions. The conveniently-located Mini-Mart offers a wide selection of wine, beer, beverages, tobacco products, snacks, and fresh produce. And when it’s time to fill up, the Mini-Mart provides all grades of fuel, including diesel, and propane. But to truly discover the magic of the Pala RV Resort, take the short ride on its complimentary 24-hour shuttle to Pala Casino Spa & Resort that offers Four-Diamond luxury, Vegas-style gaming, and world-class dining, Pala is Northern San Diego County’s ultimate gaming and entertainment destination. Step through the front doors, and you are instantly surrounded by 24/7 gaming excitement. Choose from 84 table games, try your luck at over 2,250 slot and video machines, or go all-in at the eight-table poker room. If you’re looking for dining options, Pala Casino offers 10 individual restaurants. Enjoy freshly made sushi and Asian specialties at Sushi Sake or the newly-expanded Noodles. Treat yourself to fine dining in The Oak Room. Or, create the perfect food and wine pairing at Bar Meets Grill. If you still can’t make up your mind, head to Southern California’s largest buffet, Choices, the Buffet. 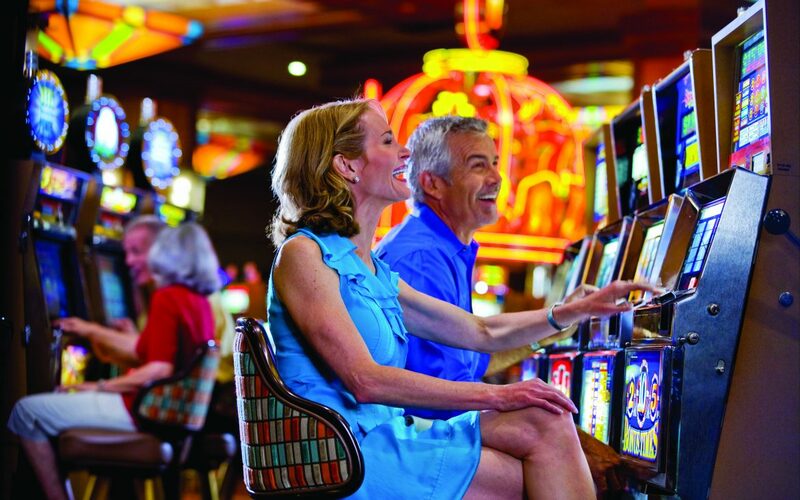 For music lovers, Pala offers more live entertainment than any other Southern California casino. Rock out to A-list artists under a beautiful California sky at the Starlight Theater, enjoy free entertainment while sipping your favorite wine in CAVE, or dance to local bands at expanded Luis Rey’s, a unique indoor/outdoor dining and entertainment experience. After all that excitement, what better way to rejuvenate than at Pala Spa? Selected as one of the top spas in the U.S. by Spas of America, this 10,000-square-foot mecca refreshes both mind and body. Stunning views, great outdoor activities, fun with family, or just the two of you. There’s something for everyone at The Pala RV Resort. 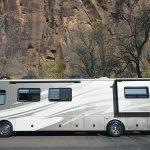 It’s a destination that combines the best of RV travel, with the luxury and excitement of a Four-Diamond resort. What are you waiting for? Come to Northern San Diego County and visit the Pala RV Resort today. You’ll discover a wonderful RV vacation destination, that’s just moments away from a truly magical place.